Well here is the first Fussy and Fancy challenge of 2016, hosted by the talented Tone who has chosen the very exciting theme 'Fashion'. Now I'm not the most fashionable of ladies, I dress more for the weather especially when it comes to walking our dog Jasper. But my guilty pleasure over the last 6 years has been Downton Abbey which sadly finished here in the UK at Christmas, part of it's attraction was the wonderfully elegant fashion of the Edwardian era. 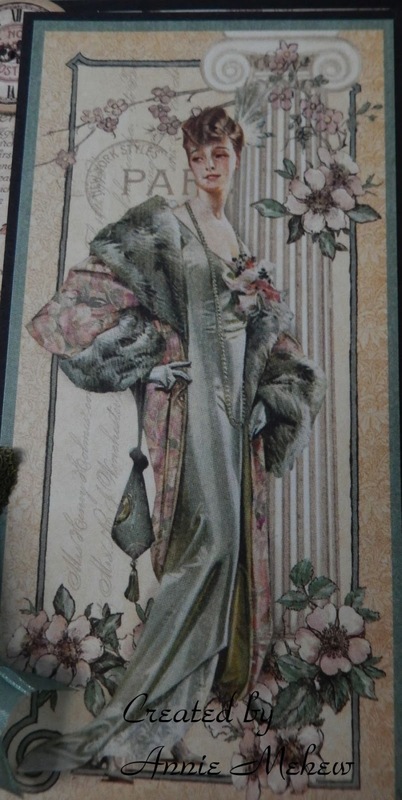 There are so many beautiful fashion plates in this G45 collection I could have used but this is my favourite, I love the silky jade o f her dress with the touch of soft pink. 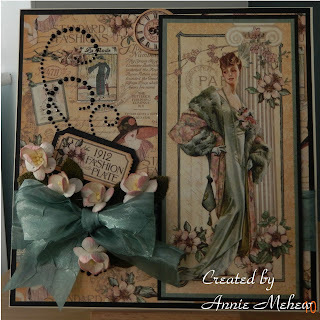 Morning Annie, I love your design and like you I adore Graphic 45 papers...and they are just perfect for this challenge...especially when combined with such fabulous flowers and embellishments. It was a very cold dog walk this morning...and as I put on all those dog walking cloths I did laugh ...not trendy fashion at all...!!! Annie I love your creation with all those beautiful added details. 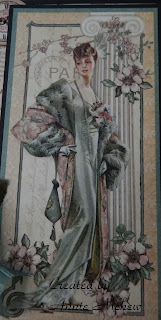 I love this paper too and almost used this beautiful image myself (great minds think alike..lol)..very gorgeous!! Hi there Annie!! 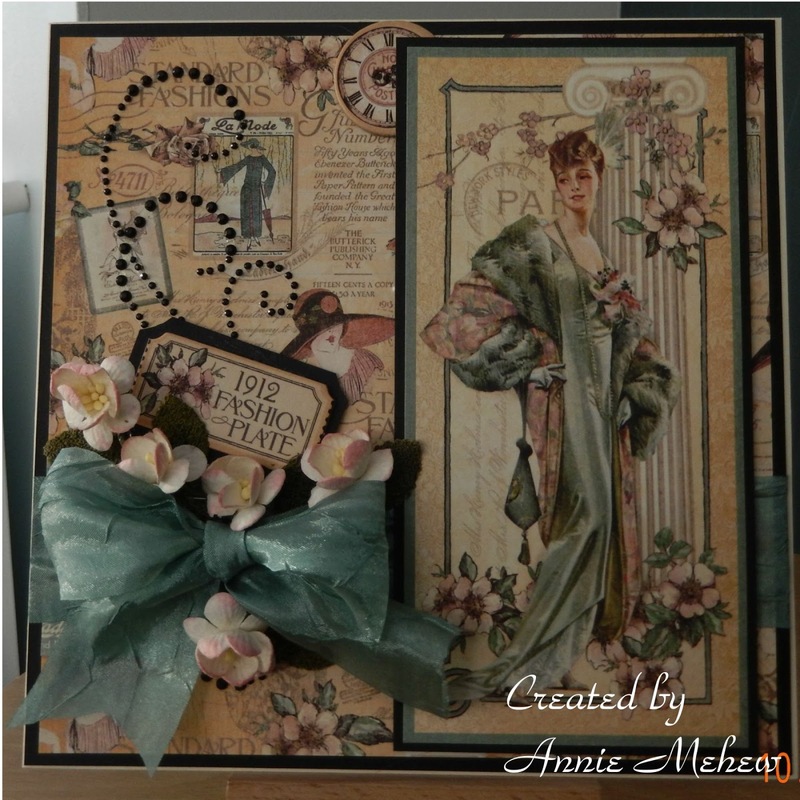 Hope that all is well with you...a gorgeous fashion piece here...the paper is beautiful...I can see why you wouldn't want to cut into it but you're right it is so fitting for this challenge! Have a most wonderful weekend Annie!